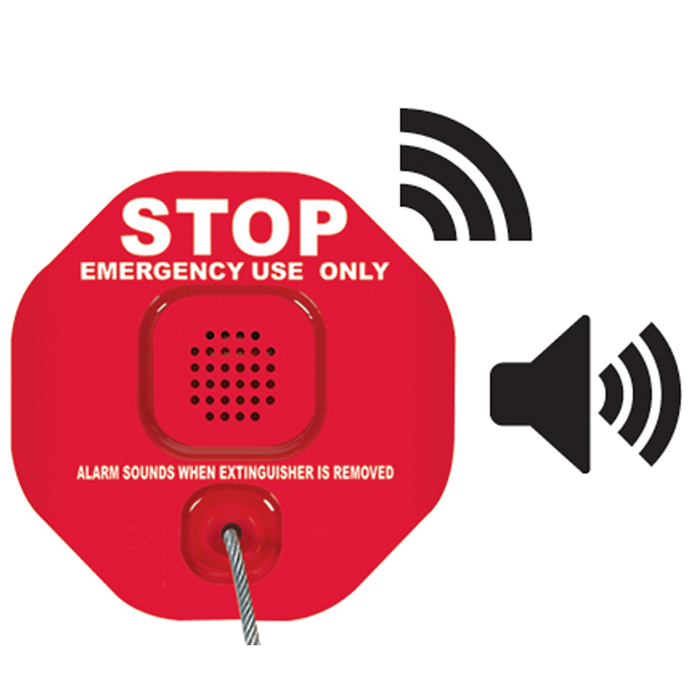 Designed to work with STI Wireless Receivers, the STI-6200WIR Wireless Fire Extinguisher Theft Stopper helps stop theft, vandalism or misuse of fire extinguishers. 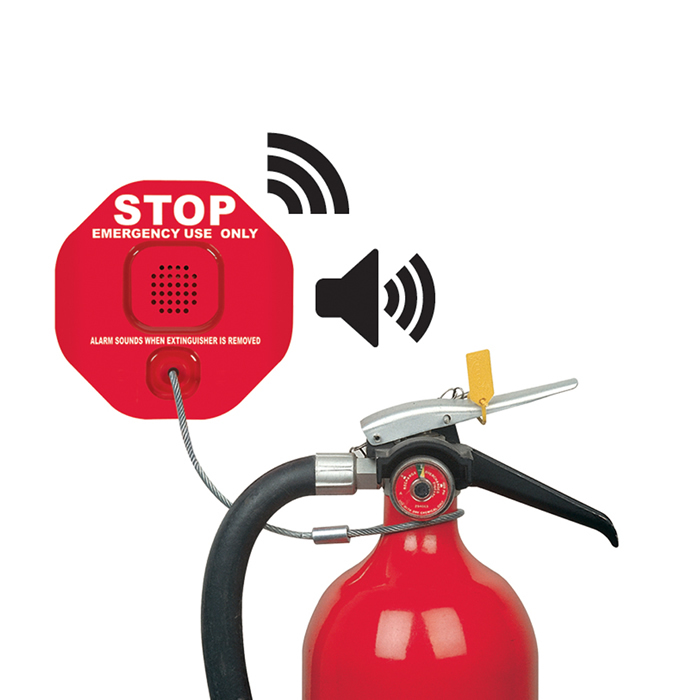 If you are fed up with replacing your fire extinguishers, this sturdy, self-contained, wireless device is the answer. It has proven highly effective in helping stop theft, misuse or vandalism of fire extinguishers. Yet, it leaves the extinguisher accessible for emergencies and does not interfere with fire fighting in any way. If the protected fire extinguisher is moved from its normal position, the device emits a piercing alarm. Also, the highly visible stop sign design and the words "STOP, EMERGENCY USE ONLY" discourages wrongful use. The device is easy to install and a deactivation cable is supplied for ease in servicing the extinguisher. Includes a 9-VDC alkaline battery. Recommended operating range 32°F to 120°F (0°C to 49°C). Highly visible "stop sign" design discourages wrongful use of extinguisher. Compact patented design 5 in. (127mm) in diameter and 1.875in (48mm) deep.Mounts easily next to extinguisher.